Looking for New Strategy Games? What is Exodus, The Trading Card Game? Welcome, new Drifter, to one of the best new strategy games. Exodus is a fast-paced card game with an average play time of 5-10 minutes! Two or more people play cards against each other in an epic duel for victory, choosing the pre-constructed deck of their choice, or building a custom set of cards on their own. 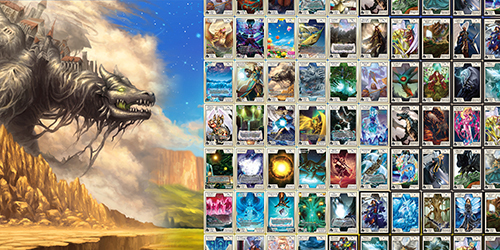 Each Exodus card is unique to the game and features breathtaking, full-artwork from premiere fantasy artists all over the world. 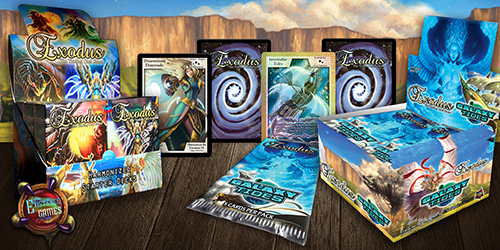 Whether you're an experienced card player, casual gamer, or brand new to the tabletop universe, Exodus has something new, unique, and fun to offer for everyone. Exodus, The Trading Card Game is simple at its core with easy-to-learn rules right from the base set, Birth of Creation. Even if you’ve never played a card game before, you can play this game and WIN! 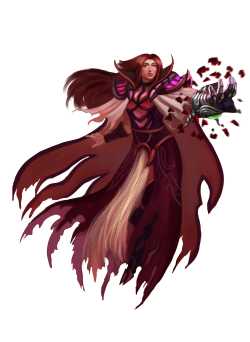 Just as well, the game also caters to those who are familiar with collectible card games, as you can delve into deep strategies and nearly endless combos, making it one of the best new strategy games. 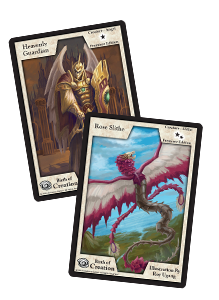 Complete deck-building freedom is all yours with the only rules being a minimum of 20 cards in both the Main Deck and Energy Deck, and 2 copies per card.With no type restrictions, set ratios, or right or wrong way to make a deck, you can build absolutely anything you want! While playing with pre-constructed Harmonized decks from the first set, you may notice that creatures in Exodus don't have any built-in powers or abilities. This is for two main reasons. As the player, YOU get to decide how strong each of your creatures are based on how much Energy you place behind them. 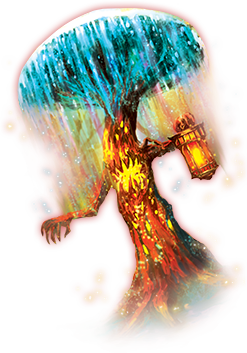 The Energy levels will fluctuate throughout the match, as you and your opponent use Symmetry (effect) cards, and your creatures attack and are attacked. The second reason comes from the rarity mechanic. 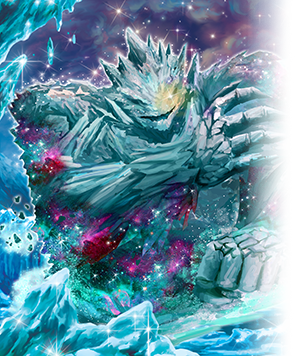 Once you move into the second set Galaxy Tides, you'll see those ability-less creatures get affected by Symmetry cards and other creatures that have built-in effects, which brings those weaker guys up to a higher and more dynamic level. 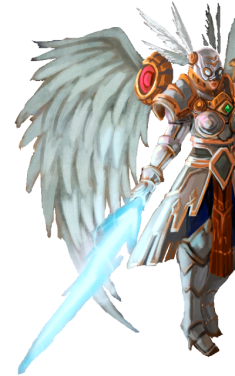 With each new set added to the game, we assure absolutely no reprints of older cards, and no set rotation. This way you can enjoy every expansion to its fullest and get complete value for the dollars you spend. Cards that you see and play with now from the first sets will never become obsolete, so you can keep playing these great combos well into the future, casually and competitively. Exodus is a collectible and trading game that was created by card gamers for gamers. Brother and sister team Jake and Lexi Medina grew up in the industry, understand the market, and brought their dream to reality of making a unique TCG to serve as an alternative in the card game world. They constantly keep their players at mind and heart, and work to bring us all back to heart of table-top gaming: community. To top it all off, a fascinating storyline envelopes the physical card game, available right here on the website's Storyline page! In the game, you travel through a strange portal, a door from Earth to Eeventide. On this new planet, you gain the title of a Drifter, and obtain the ability to fly and drift across beautiful landscapes freely. With a strange new metal bound to one of your arms and cards forged from stardust, you learn to summon massive creatures to fight before you as you begin your Exodus in this new world. Eeventide is a gargantuan planet full of mystery and wonder. Alliances and organizations of Drifters are constantly being formed and broken across this newborn world. 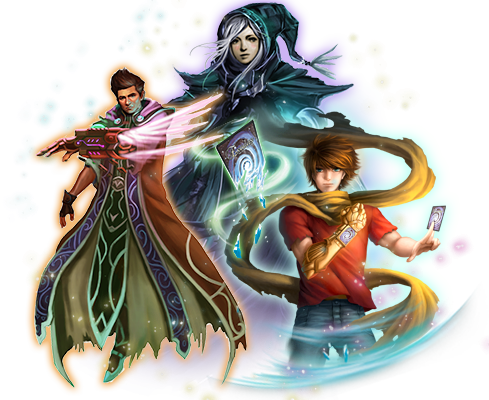 It is up to you to decide if you’ll go it alone or join one the powerful guilds that are on the rise. Jump to the Official Rules page to learn how Exodus is played or check out the Online Store to get your cards now! Welcome to Exodus, The Trading Card Game!